No matter what you say about the 2018 Chevy Equinox, it is simply not enough. This multipurpose SUV redefines what it means to be a car. Outfitted with a variety of interior, exterior, and tech features, the 2018 Chevy Equinox is more technologically advanced than any of its competition. With lots of cargo space, multiple performance-enhancing features, and the latest tech, the Equinox is everything you want a car to be. You just can’t go wrong with the 2018 Chevy Equinox. Here are a few its features that impressed us the most. The 2018 Chevy Equinox proves that a car can be good-looking and have substance. This is best demonstrated through its performance. There are three available options for engines: the 1.5L Turbo, the 1.6L Turbo Diesel, and the 2.0L Turbo. Each of these performs admirably. For example, the 1.6L Turbo Diesel engine can give a highway mileage of 39 mpg, 170 horsepower, and 207lb. ft. of torque. If this isn’t an exemplary performance, then nothing is. It also has a switchable all-wheel drive that allows you to switch between modes. This gives you more control over the car and helps you drive easily on slippery roads. The tech features of the 2018 Chevy Equinox are also extraordinary. Firstly, the Equinox has an amazing infotainment system that includes technology like Android Auto, Apple Car Play, Chevrolet MyLink SiriusXM Satellite Radio, an available Bose premium audio system, and many others. However, its safety tech is what truly grabs your attention. Forward Collision Alert, Side Blind Zone Alert, RCTA, Low-Speed Forward Automatic Braking, and Rear Vision Camera are only some of its safety tech. More tech features include Safety Alert Seat, Teen Driver tech, Surround Vision, Lane Keep Assist with LDW Alert system and many more. 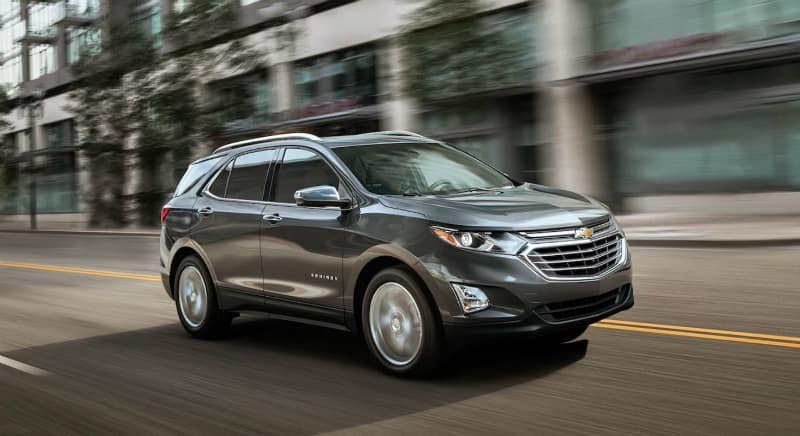 It is easy to see why the 2018 Chevy Equinox is considered to be one of the safest SUVs in the market. Other tech included Stability Control, Traction Control, Remote Panic Alarm, Keyless Entry and a Universal Home Remote. There isn’t much more that you can ask for in a car. Sculpted, sleek and extremely gorgeous the 2018 Chevrolet Equinox’s exterior is bound to draw eyes wherever it goes. A perfect combination of style and practicality, the exterior features of the SUV are definitely not just for show. 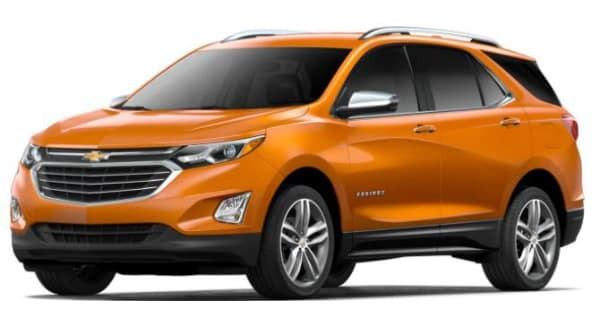 Acoustic laminated glass, fog lamps, LED headlamps, LED tail lamps, 18” aluminum wheels, deep-tinted rear glass, and roof mounted side rails are among the various exterior features of the 2018 Chevy Equinox. There are also a number of optional features such as keyless entry pad, rear splash guards and 19” all season black wall tires. 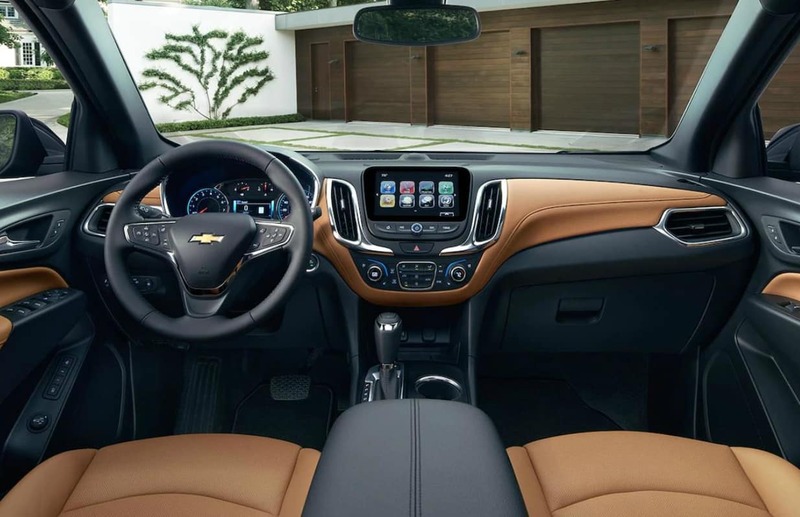 The interior of the 2018 Chevy Equinox is as impressive as its exterior. Its well-designed and opulent interior is the height of luxury. The sheer number of features that the car possesses heightens its opulence. Heated passenger and driver seats, dual zone climate control, panoramic sunroof and heated steering wheel are only a few of these features. Apart from an amazing infotainment system, the car also has charging ports, a split folding rear seat, carpeted floor mats, heated leather-wrapped steering wheel are other available features. If the residents of Hammond, IN are worried about cargo space this is the SUV for you, with 63.5 cubic feet of cargo space available, you will have more than enough space for your luggage. If you need more space than this, you can even fold your rear seats to increase your cargo area. This nearly doubles the amount of cargo space and gives passengers more than enough area for their cargo.